The PurpleStride Grand Club is a nationwide program recognizing participants who individually raise $1,000 or more for their PurpleStride event. As a participant, we know you give your time and energy to fight pancreatic cancer and the PurpleStride Grand Club gives us the opportunity to show our gratitude for your efforts. How does the Pancreatic Cancer Action Network recognize PurpleStride Grand Club members? As a member of the elite PurpleStride Grand Club, you are eligible to receive an exclusive and complimentary Grand Club shirt. Wear this shirt with pride in your community to engage others in our fight against pancreatic cancer. We are thankful for your fundraising efforts and the Grand Club shirt is one way for us to show our appreciation. I’m participating in multiple events. Can I be a Grand Club member just once or multiple times? You can be a PurpleStride Grand Club member multiple times if you raise $1,000 for each PurpleStride event that you are a part of. All fundraising dollars must be turned in within 90 days post event in order to be part of this elite group. How and when will I receive my PurpleStride Grand Club shirt? You will receive your shirt in 3 easy steps! Step 1: Set a goal and fundraise for your PurpleStride event! Step 2: When you raise $1,000, login to My Strider Central. A pop-up will appear confirming that you are a PurpleStride Grand Club member. Select “Claim my gift” and fill out your shirt size and shipping instructions. Step 3: Your PurpleStride Grand Club shirt will be delivered right to your doorstep. Please allow 2 to 3 weeks for processing and shipping. You don’t have to stop there. Capitalize on your momentum, set the bar higher and keep on fundraising for those affected by pancreatic cancer. How does the PurpleStride Grand Club benefit PurpleStride and the Pancreatic Cancer Action Network? 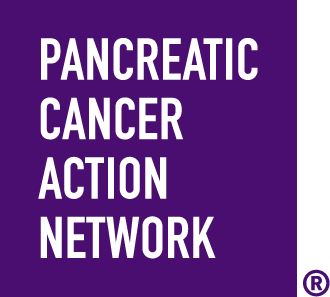 Your passionate fundraising efforts helps the Pancreatic Cancer Action Network provide vital patient services and support for the pancreatic cancer community. Thanks to you, we are making strides in our patient & caregiver services, research initiatives, and advocacy efforts. PurpleStride isn’t the only thing we do, but everything we do depends on it. To learn more, visit www.pancan.org.